The NEC 910064 is a 12-button IP telephone with 12 fixed feature keys. The full duplex speakerphone gives clear sound for handsfree usage. 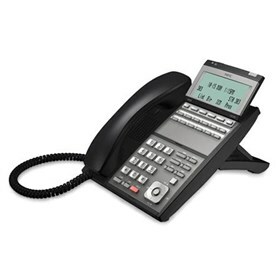 This 5-line backlit display telephone features backlit dial pad, 4 interactive soft keys and 9 ft handset cord. It has built-in wall mount and adjustable legs, where each terminal requires PoE or NEC-780135 AC-2R AC adapter. The NEC 910064 has many exciting features for users of all types. See the NEC 910064 gallery images above for more product views. The NEC 910064 is sold as a Brand New Unopened Item.